Xizang (Tibet):Changdu (Chamdo) Xian. 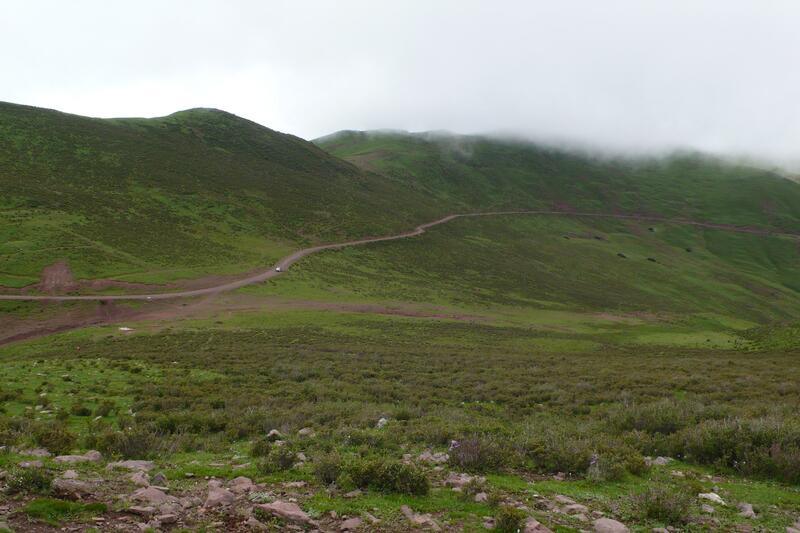 Old road from Changdu (Chamdo) to Toba and Jiangda (Gyamda) on Damala Shan. Meadow and dwarf (< 50 cm tall) Rhododendron nivale subsp. boreale thickets with Potentilla fruticosa and P. glabra. 31°11'46"N, 97°19'13"E; 4540-4650 m.